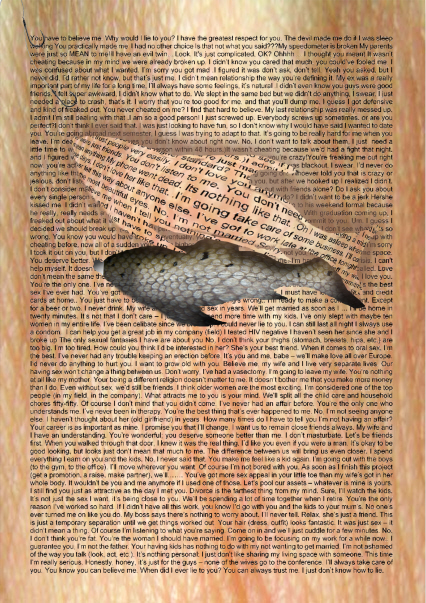 A digital picture created to illustrate poem (by a person who wishes to remain anonymous) about the thoughts of a fisherman. Emotions lipped on passing words. And some leave meanings shed like scales." The digital image is composed entirely of hollow words, platitudes and obvious lies on a scaley background. The shape of a fish floats out of the words, which are in the mind of the poet, leaving a hollow magnified space beneath.